Cavendish Agri Services supports farmers in growing healthy and productive crops. We have 13 manufacturing/retail locations throughout Atlantic Canada and Maine. Our primary products include fertilizers, crop protectants and technical expertise. Reporting to the Plant Supervisor, the Seasonal Mixer will be a results-driven, self-starter who is always looking for opportunities for improvement, and has the ability to adapt to a fast paced, dynamic work environment. 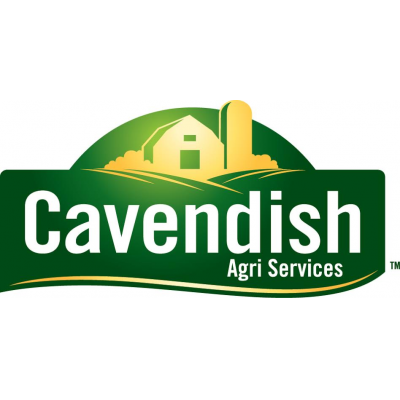 Cavendish Agri Services Ltd. is looking for a Seasonal Mixer for a minimum of 8 weeks up to a period of 12 weeks. Expected start date will be May 2019 (weather dependent). Mechanical aptitude and previous experience working in manufacturing or farm/fertilizer operations would be considered an asset. Please apply online or in person by April 26, 2019. *Please Note: A clean criminal background check and drug screen will be required prior to an employment offer being extended. Cavendish Agri Services is committed to equal opportunity in its employment practices and to providing an environment free from discrimination and harassment for all employees.